Entranced by the World Cup, or inquisitive about the game, the spectacle and the serious passion, you might wonder where to read further and deeper into this, the greatest shared sports phenomenon on the planet. Well, there are a lot of books about soccer; some brilliantly written and insightful, some sincere and some both scholarly and splendid. It’s a writing arena as big as the sport. Since soccer is potently international, some the best writing about it is not in English. In fact, one of the entries in any – repeat, any – short list of great books about the game was first written in Spanish by the Uruguayan Eduardo Galeano. In English-speaking countries, books about soccer abound, although most are celebratory works about a team, a season or a star player. Lately, the field has widened again and an impressive number of new books explore the game, its meaning and magic allure. 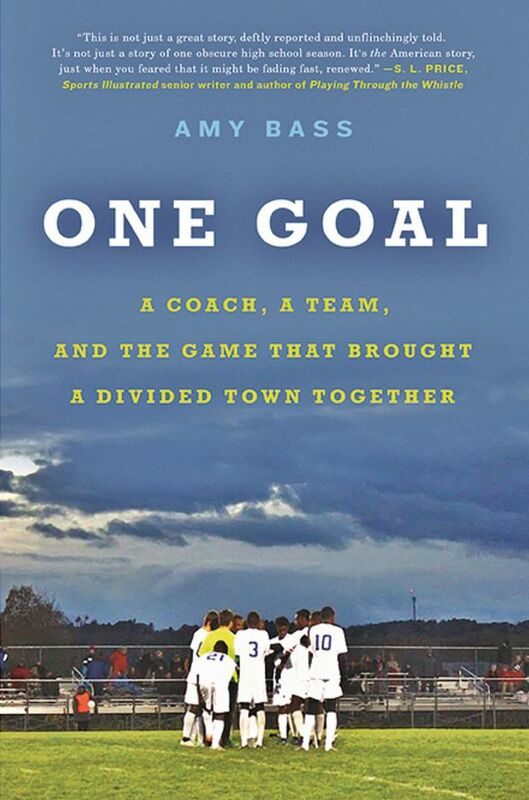 One Goal by Amy Bass (Hachette, 328 pages, $36.50) is a magnificent and significant book about soccer in the United States. Bass, an academic who writes about the culture of sports, tells one story about one team in one small place. That place is the decaying, hardscrabble town of Lewiston, Me., but, in keeping it tiny-scaled, Bass proves the truism that the local has universal meaning. Thousands of Somali refugees resettled in Lewiston through accidents of geography and officialdom. The town was tense and there were anti-immigrant provocations. But when Somali youths entered one high school’s soccer team and came to dominate it, something shifted. The matter of integration was played out on the field as a suddenly powerhouse team went on a winning streak that took the town’s collective breath away. One Goal is not a sentimental, stand-up-and-cheer story about kids punching above their weight, or misfits learning to work together. It is at once a stark look at the lives of the Somali refugees and a serious study of why soccer matters as a link between disparate cultures and peoples. If this distinctly different Maine high-school team wins, then everybody does. It’s about yearning for integration while learning to win. Some of the vignettes of life for these refugees are as unforgettable as any heart-stopping game. 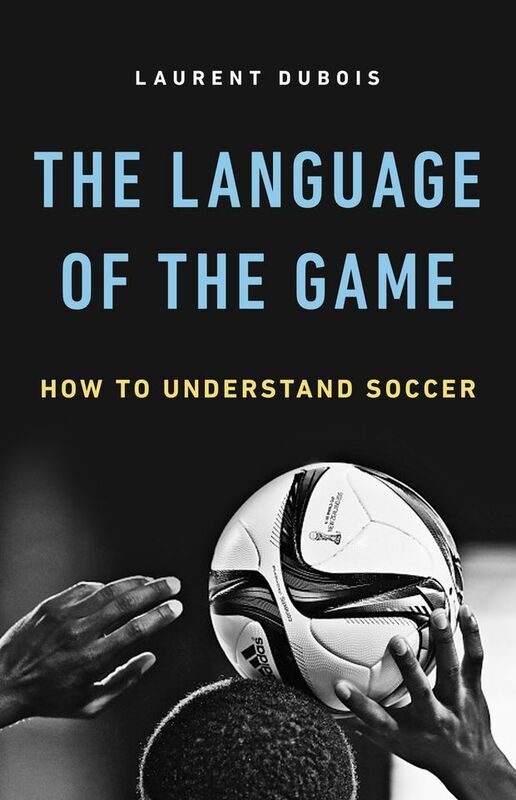 The Language of the Game: How to Understand Soccer by Laurent Dubois (Basic Books, 320 Pages, $34) is a peach of a book, a dream-read for any soccer follower, including new addicts. Dubois, also an academic with a broad reach inside the game and under the surface, sets out to write a richly detailed primer on the game, but ends up offering story after story that intrigues and compels even ardent flowers. There are seven chapters: The Goalkeeper; The Defender; The Midfielder; The Forward; The Manager; The Referee; and The Fan. Inside each, Dubois weaves history, anecdote and incisive analysis into a fabulous narrative that covers the notorious – in players, games and incidents – and the barely known. The chapter on the forward, which devotes a lot of space to Diego Maradona, is worth the price of the book. Also, Dubois often leans into the women’s game, giving the book a broadness that other recent books lack. A section on the rise of the women’s game in England in the early 20th century is vastly informative and entertaining. A true fan and a scholar, Dubois has written what could become considered a classic work. By the way, on the topic of women’s soccer, the best and most trenchant work on the subject was published late last year. 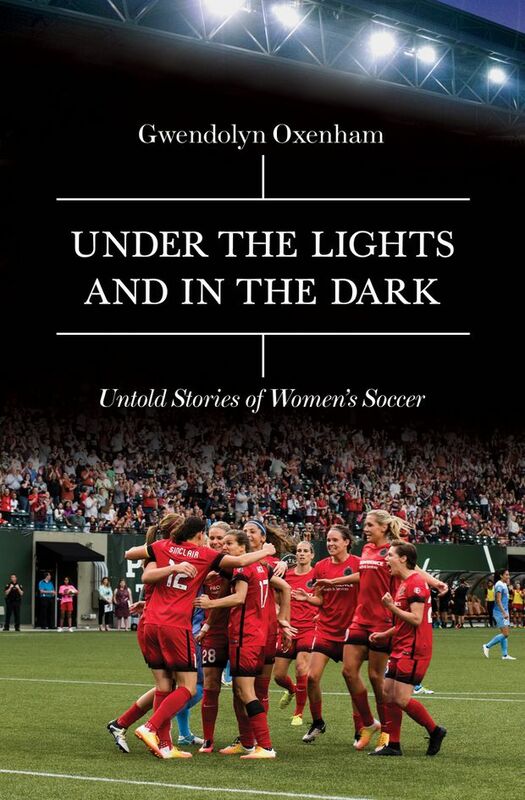 It is Under the Lights and in the Dark: Untold Stories of Women’s Soccer by Gwendolyn Oxenham (Icon Books, 272 pages, $32.50) and it’s a startling, eye-opening book about the glory and resilience of the women’s game. 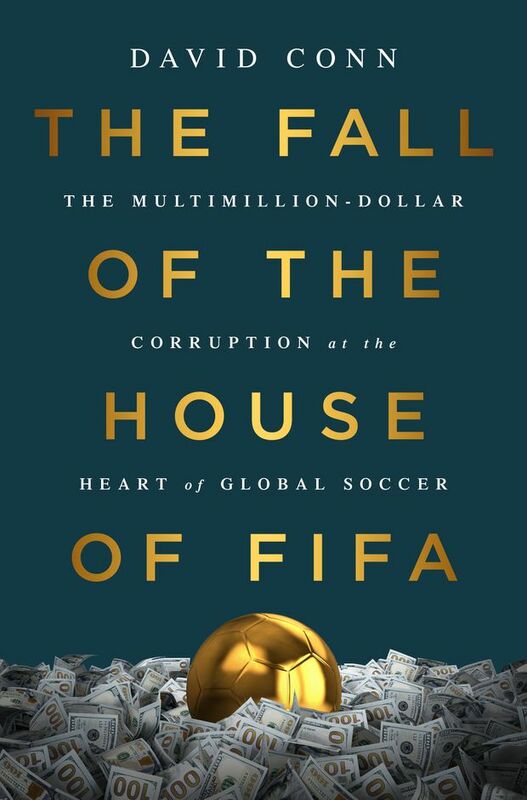 And on the subject of FIFA, The Fall of the House of FIFA by David Conn (Yellow Jersey Press, 320 pages, $35.99) is the definitive account of how the Fédération Internationale de Football Association became a deeply corrupt organization running world soccer and almost collapsed into itself. Anyone curious about how youths from the world’s smallest or poorest countries can end up as soccer superstars needs to read The Away Game by Sebastian Abbot (WW Norton, 336 ages, $34). A sobering, richly detailed and densely reported story, it’s about one significant scouting program – Football Dreams, established in 2007 in the country of Qatar as the bedrock of what would, Qatar hoped, become its own national soccer team. Qatar has for years used soccer as a bridge to greater prominence in the world and somehow – see Conn’s book - ended up as host for the 2022 World Cup. The plan was to find the most talented young players in Africa and bring them to Doha for training. Qatar hired the best scouts, including a Barcelona-based one who could claim to have discovered Lionel Messi. Abbot’s book follows the trail into dangerous, wartorn parts of Nigeria, the slums of Senegal, the rutted parks of Ghana and beyond. There is heartbreak, success and there are lies and deceit. And some honour. 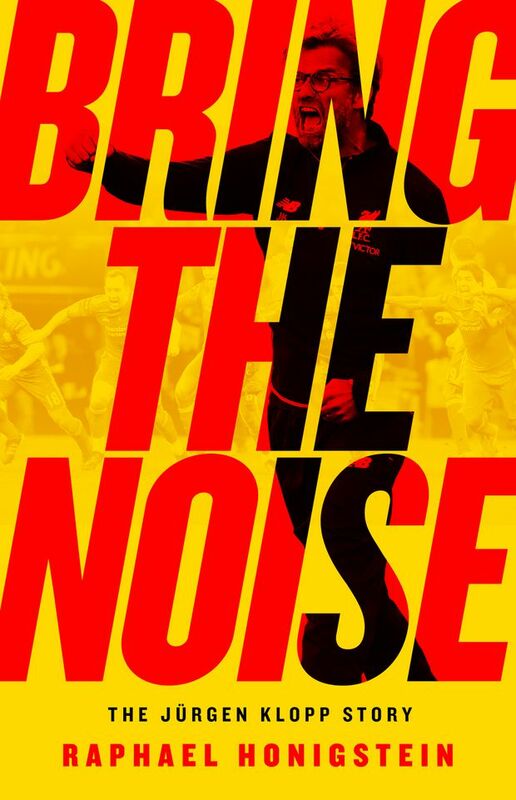 Bring The Noise: The Jurgen Klopp Story by Raphael Honigstein (Nation Books, paperback, 324 Pages, $22.49) is a standout book about one of the recently emerged icons of club soccer. Former player and now top manager Jurgen Klopp, who took Liverpool to the European Champions League Final this year, is truly worthy of a book. It explains how, mainly through the desperation of others, he ended up in charge at Mainz 05, a middling club in his native Germany. He was the solid but far from stellar player who was always mouthing off about tactics and training, so he ended up the boss. And he took to it, eventually turning Borussia Dortmund into one of the most feared and yet adored clubs in Europe. How’d he do it? “I realized that our system made us beat teams that had better players,” Klopp says at one point. That system is “gegenpressing,” a tactic in which a team fights ferociously for ball possession after losing it, instead of regrouping in a defensive formation. Klopp emerges as a likeable, self-aware enthusiast and a superb motivator. 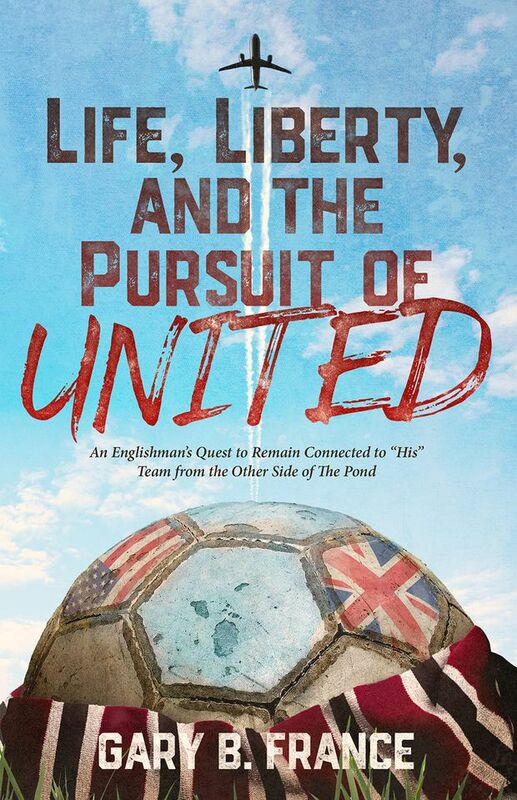 Another little gem about club soccer, from a long-distance fan’s perspective, is Life, Liberty, and the Pursuit of United by Gary B. France (Fish Out of Water Books, 416 pages, $24.99). It’s about the author’s life journey from rural Lancashire in England, to the United States and, along the way, trying to stay in touch with Manchester United, his favourite team. His love began when George Best, the great mercurial goal-scorer, was a United player in the early 1970s, and then was reignited during the glory years under Alex Ferguson in the 1990s. At that point, France’s work took him to the United States, to the Detroit area specifically. It wasn’t soccer heaven; it was all soccer scarcity there. The book – it’s a bit long-winded in parts, but charming – is about France’s ceaseless and often amusing work trying to stay in touch with his team, its ruse and rise and occasional failures. The book will resonate with anyone who has been a long-distance soccer fan in a North America that cares little for the game. Finally, Soccernomics (2018 World Cup Edition): Why England Loses; Why Germany, Spain, and France Win; and Why One Day Japan, Iraq, and the United States Will Become Kings of the World’s Most Popular Sport, by Simon Kuper and Stefan Szymanski (Nation Books, paperback, 494 pages, $22.99) is any soccer fan’s essential reading. 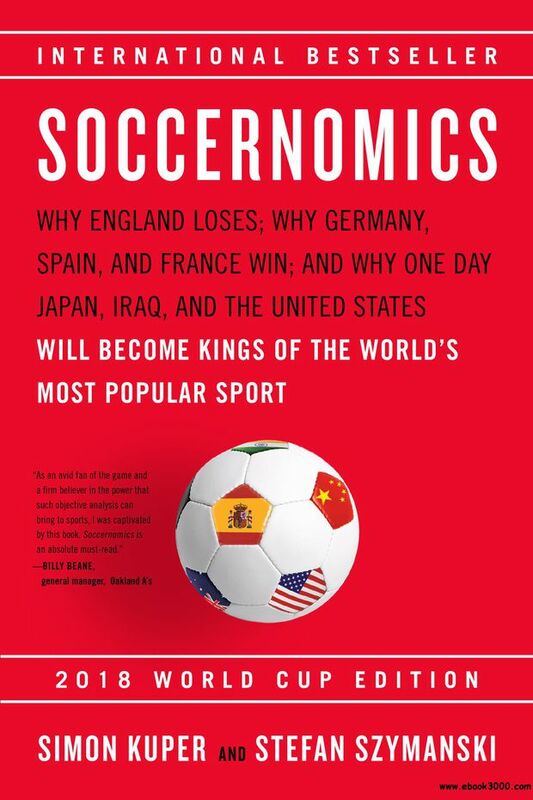 The first iteration of Soccernomics shocked many, exposing as it did the nonsense that is taken as truth about the economics of the game, the player-transfer market and World Cup dominance. This updated edition includes new data studies (soccer was the data-denying sport until recently) on where soccer goes globally from here, and an excellent analysis of why, that one time, Leicester won the English Premier League. Galeano writes, “I go about the world, hand outstretched, and in the stadiums I plead, ‘A pretty move, for the love of God.’ And when good football happens, I give thanks for the miracle, and I don’t give a damn which team or country performs it.” This beautifully written, wry and wise book is a series of observations, not a history or a book of theory. It is full of truth about everything from the rules, to Maradona to Fidel Castro to the space that soccer holds in the Latin soul. 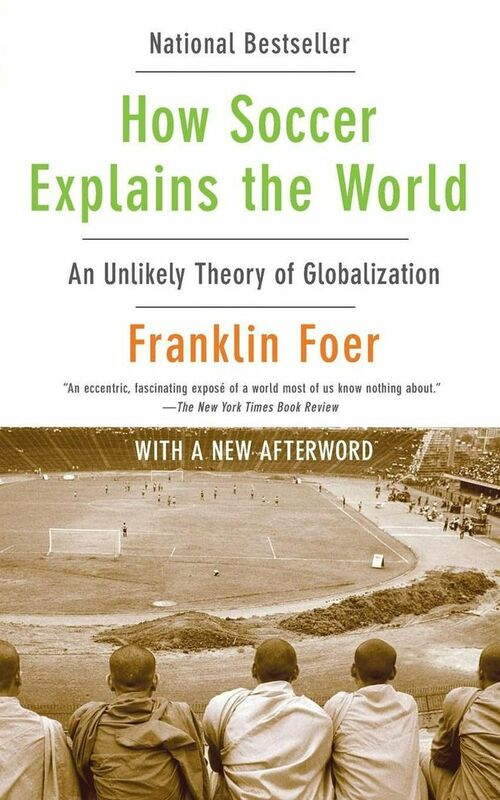 Foer’s eccentric but gripping linking of soccer to global trade, and global wars big and small, is a little dated now, but still bracing. He writes vividly about wars in the Balkans that can be explained through fanatical support of certain teams. He worships at the altar of FC Barcelona but explains Spain with ease, and the Glasgow Celtic/Rangers rivalry, too. Winner does one of the truly great studies of how a country’s culture – art, agriculture, education system – shapes its national soccer team and style and the Dutch style became revolutionary. 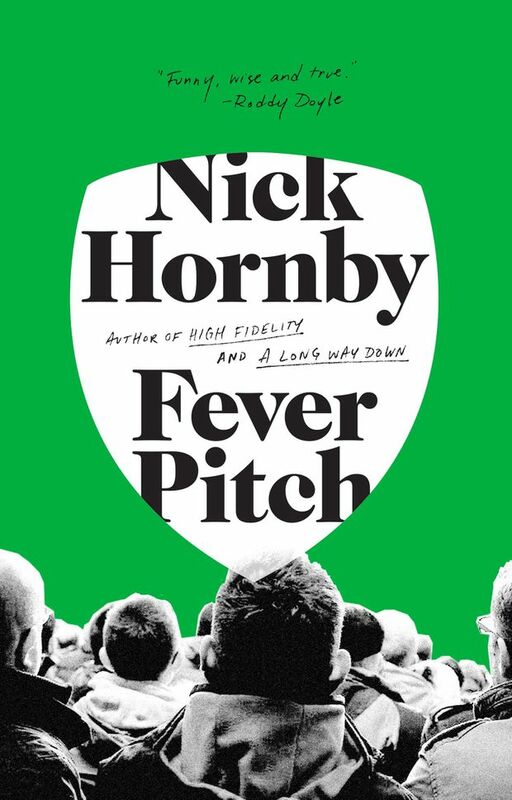 Hornby’s confessional and cogent book about fandom – in this case, Arsenal – begat a trend that produced many books that never matched its trenchant and bittersweet truths about following a soccer team. Bellos delves deftly into the greatness of Brazil’s soccer culture and the grotesque aspects of it, too, as players are exploited, fans manipulated and much money made by shady figures. In all, though, a clear-eyed look at the sublime, as soccer betrays so much about Brazil. Kuper was just 24 when he wrote this, travelling to numerous countries to illuminate the intersection of soccer and politics. Simultaneously, he illustrates why some countries play the same game in vastly different styles. Truly a landmark book in soccer writing. John Doyle is the Globe’s TV critic and covered three World Cups and three Euro tournaments. His bestselling book The World is a Ball: The Joy, Madness and Meaning of Soccer is number 20 on World Soccer Talk’s Top 20 Soccer Books. The Notre-Dame fire was a warning bell, but will Europe listen?